I bought this for my wife. She love the look and style. I just gave it to her so I can't vouch for more than looks and style. It does look nice!! 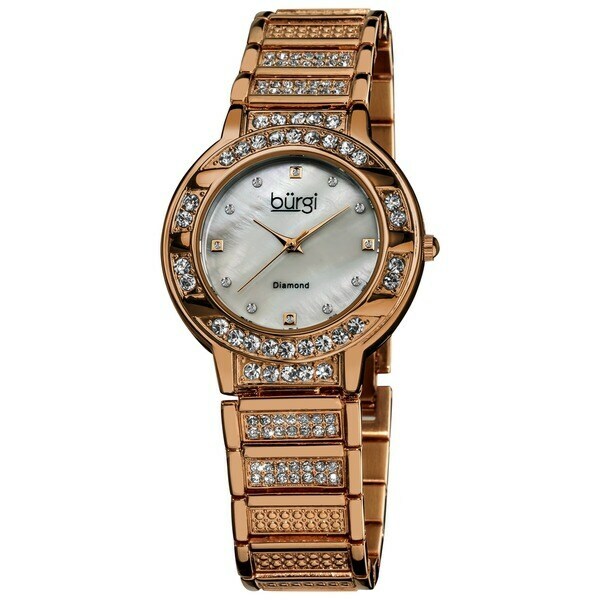 This Burgi ladies quartz watch has a Mother of Pearl dial and four diamond hour markers. Beautiful crystals adorn the bezel and bracelet of this magnificent timepiece.